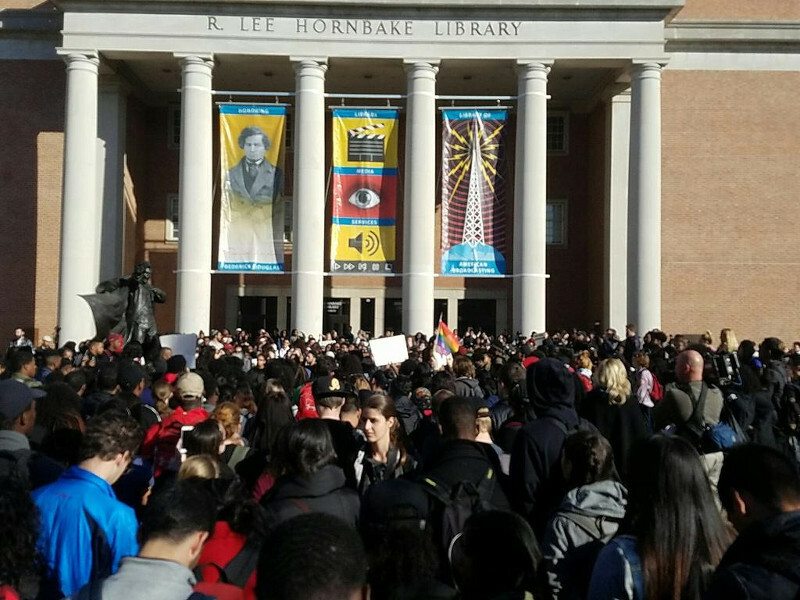 On the 17th of November, the recent wave of student walkouts continued with the #ProtectUMD walkout at University of MD. 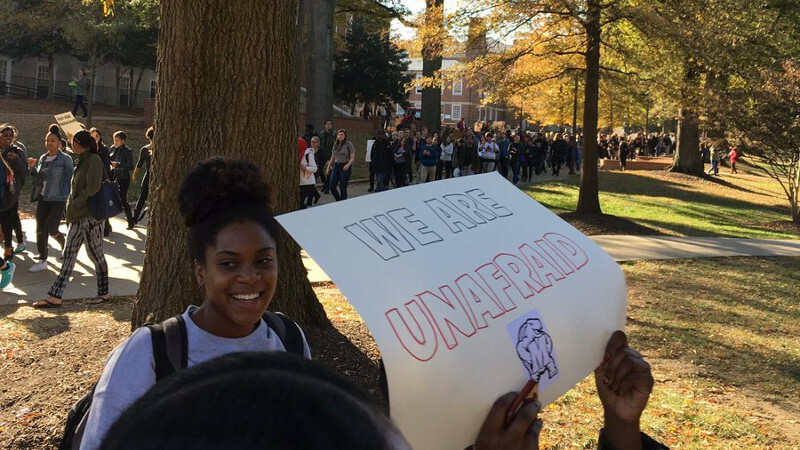 Although not billed as an anti-Trump walkout, students are demanding that members of marginalized groups such as African-Americans, Muslims, immigrants, and GLBT students be protected from discrimination and hate crimes. That is in direct contravention to the Trump agenda of white nationalism. A specific demand of this protest is that University of MD be declared a sanctuary campus to protect immigrant students and keep ICE's stormtroopers off campus. This would have to include specific language barring the University of MD police department from sharing information or otherwise cooperating with ICE to be effective. Trump's power over sanctuary cities, counties, and campuses apparently will be limited to denying Federal funds and contracts. With the massive budget cuts also expected from Trump, there may be little further financial loss to institutions that show the courage to defy him in immigration.